Broderick is best known as a public sculptor. He sculpted the bull at the Birmingham Bull Ring. 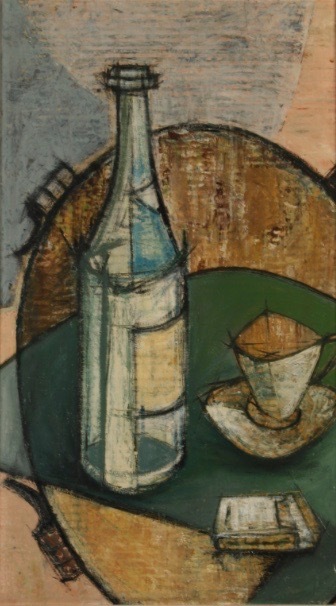 However, he began his career as a painter, teaching at Haberdasher’s Aske school from the late 1950s. This is a rare painting by him, dating from about that time.